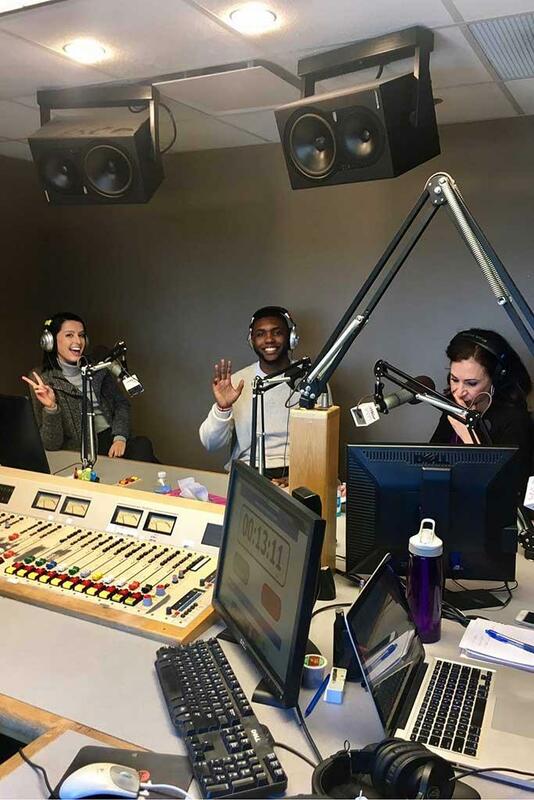 After a rigorous social media campaign, interview, trip to Atlanta and televised competition, a School of Journalism and Mass Communications (SJMC) graduate won a $10,000 cash prize and the opportunity to interview with some of Atlanta’s biggest companies. In addition to the cash prize, she was awarded six months’ free rent at Olmsted Chamblee and a six-month MARTA pass. 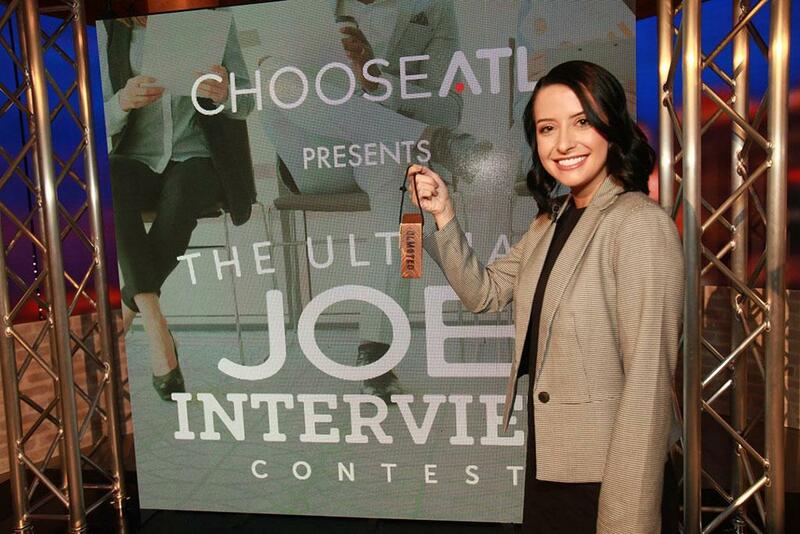 Nicole Smith, a 2016 Master of Mass Communication graduate, won ChooseATL’s “The Ultimate Job Interview” contest Sunday night. 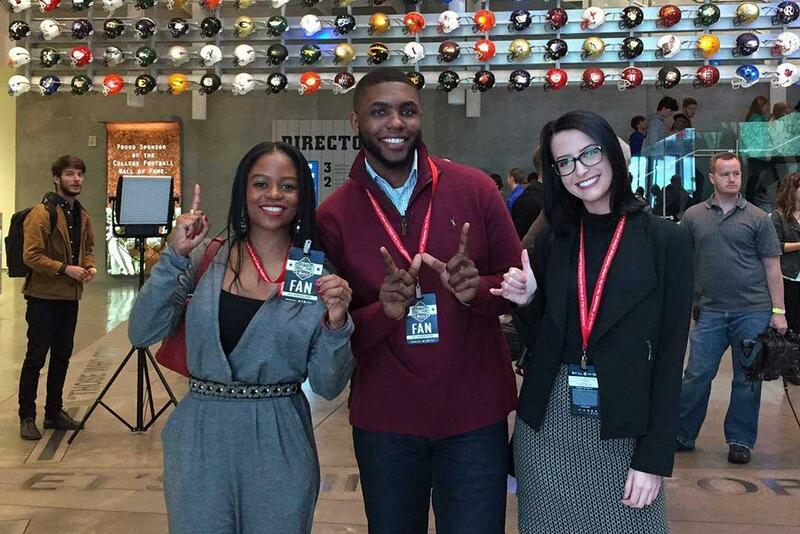 ChooseATL is a movement dedicated to attracting and retaining top talent to metro Atlanta. “I finally feel confident that my life and my career are about to get started,” Smith said of her experience. One of her professors at USC, Dr. Brooke McKeever, has encouraged Smith from the beginning. Smith was a student in Dr. McKeever’s Public Relations Campaigns class when she was an undergraduate public relations major in the SJMC. 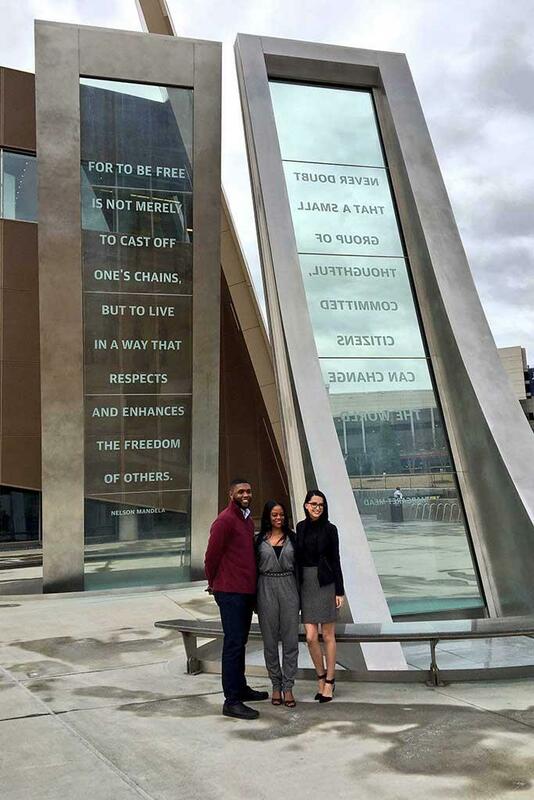 Smith learned about the competition during a public relations Maymester program that took SJMC students to Atlanta. 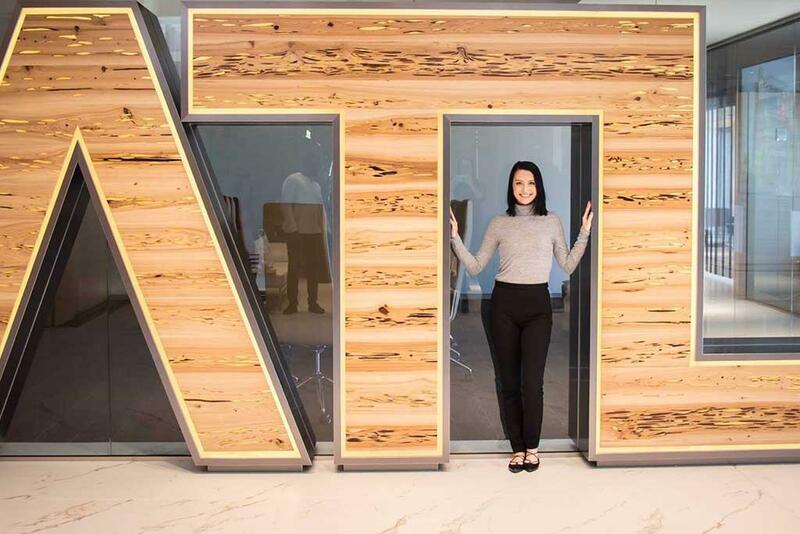 She knew she wanted to work in Atlanta, and she saw the contest as an excellent opportunity to make connections. All candidates submitted a personal video explaining who they were and why they wanted to pursue a career in Atlanta. Contestants then had to post their videos on social media. Smith’s video and the votes it received via social media landed her among the top 10 semifinalists, who then participated in an online video interview. Dr. McKeever was not surprised Smith was selected as a finalist. “I think she shines on her own. She stood out to them,” McKeever said. When she received the phone call that she'd made the top three, Smith was ecstatic. “It was this huge, exciting moment. Everyone who was in the finals, the top three, everyone gets money, everyone gets the awesome trip, everyone gets to meet all these incredible people,” she said. She and the other two finalists spent several days doing interviews and meeting with some of Atlanta’s top business executives. Smith said she had a lot of confidence going in to the competition and was able to keep a level head throughout the process. “I would say that I was so calm because I was so prepared,” she said. She credits some of her success in this competition to her high school years, when she participated in pageants. “My pageant experience helped me so much to just stay calm and to answer questions and to not be afraid of the cameras,” she said. When ChooseATL announced the winner, Smith was shocked. Now, Smith is more eager than ever to start her integrated communications career in Atlanta. She already has one job offer as a result of the competition, and will also interview with the five companies ChooseATL selected. 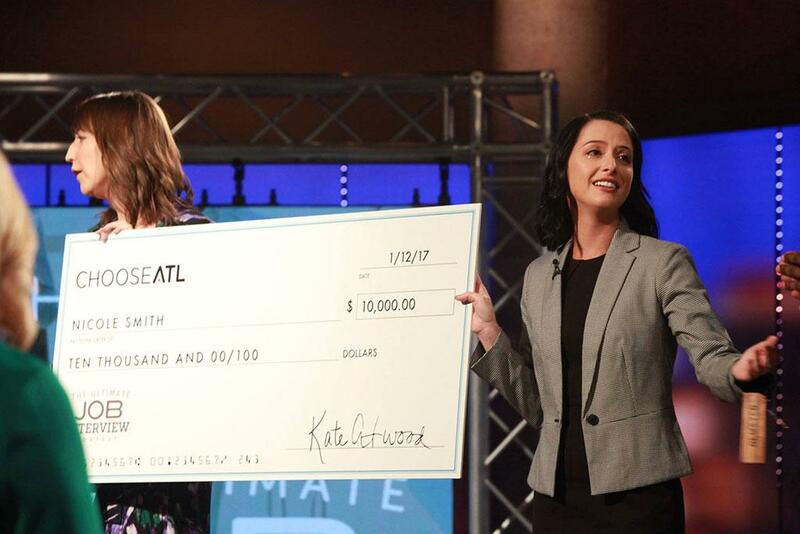 Kate Atwood, executive director of ChooseATL, said Smith's bright spirit and drive to succeed stood out from the very beginning of the competition. "She was a pleasure to work with and we look forward to seeing the great things she will accomplish in Atlanta,” Atwood said. Emily Swan is a graduate student from Columbia, South Carolina, pursuing her master’s degree in mass communication. Her interests include entertainment journalism, nonprofit public relations and health communication. In the first stage of the competition, Smith submitted this video which was filmed in the new School of Journalism and Mass Communications building. The video was produced with the help of another M.M.C. student, Christina Myers. Photos of Smith at various stages of the ChooseATL Ultimate Job Interview Contest.